Domestic abuse has far reaching implications for physical, sexual and mental health and an individual’s well-being. The cost of physical healthcare treatment resulting from domestic violence, (including hospital, GP, ambulance, prescriptions) is estimated to be 3% of total National Health Service budget (Walby, 2004). 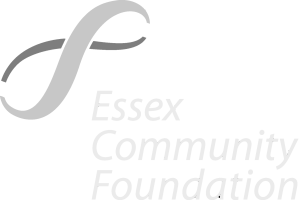 Funded by Essex Community Foundation and Comic Relief, Changing Pathways has a joint partnership project with Colchester and Tendering Women’s Refuge to provide Independent Domestic Violence Advisors within a hospital setting. The Essex Domestic Abuse Partnership Project (EDAPP) is based within BTUH (Basildon and Thurrock University) and CHU (Colchester Hospital University) and aims to provide immediate access to specialist practitioners where a victim presents as a patient within an health setting where they are being subjected to interpersonal abuse or violence. As part of the model, the Health IDVAs deliver training to clinicians and health staff to raise awareness of domestic abuse, help them to identify indicators of abuse with their patients and support the safe disclosure of domestic abuse. EDAPP works in partnership across the hospital setting and the development of these relationships and the postive impact these have for victims of domestic abuse is evident in the following quotes. “The continuation of the project and increase in IDVAs is having a big impact on patient care and experience for victims of domestic abuse. We have seen a steady increase in the number of referrals for support for victims of domestic abuse. Awareness of the issue is being raised at every opportunity within the organisation. Having project worker’s available to provide direct support ensures that our patients are safely responded to in a timely manner. 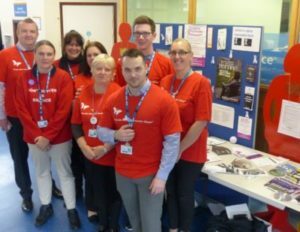 The EDAPP workers have established themselves with the safeguarding team and work collaboratively to ensure victims are kept safe and staff are provided with the skills and knowledge to support patients. BTUH greatly value the contribution the EDAPP workers make to the safeguarding agenda and support the continuation of the project. Joint working to raise awareness campaigns such as: international days, going orange and 16 days of activism”.